You might wonder why I titled this post “Chilean Patagonia for Indian Citizens”. 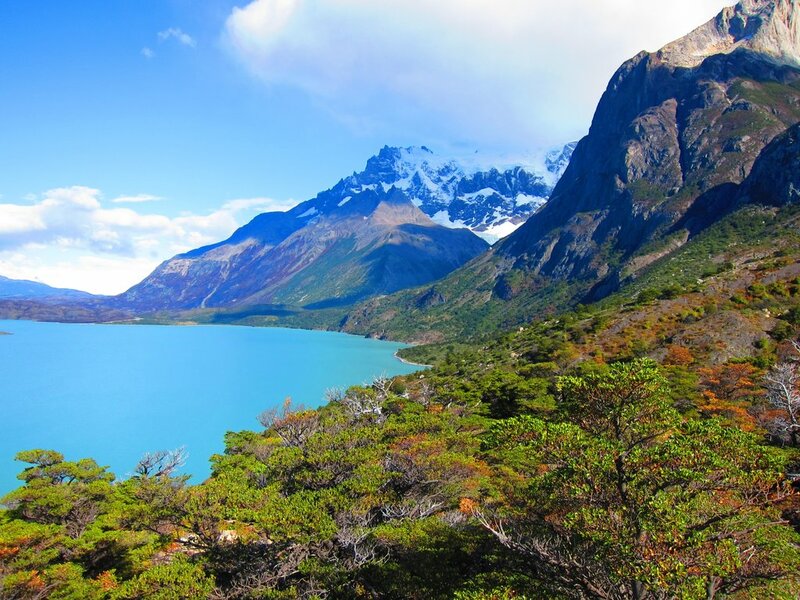 Torres Del Paine national park is one of South America’s most visited national parks with good reason. It brings to mind the image of rugged, uninhabitable terrain that only a few have conquered, windy weather, wild horses and glaciers. Its extraordinary beauty can only be experienced and visiting this place is one of those memorable moments that sticks to you for a long time. However, an Indian backpacker who prefers overland travel to air travel will not find Torres Del Paine a straightforward place to visit. There are no roads to TDP from Santiago which do not traverse into Argentina. · An Indian backpacker wanting to travel to Torres Del Paine by land should have not only a Chilean visa but also an Argentinian visa. 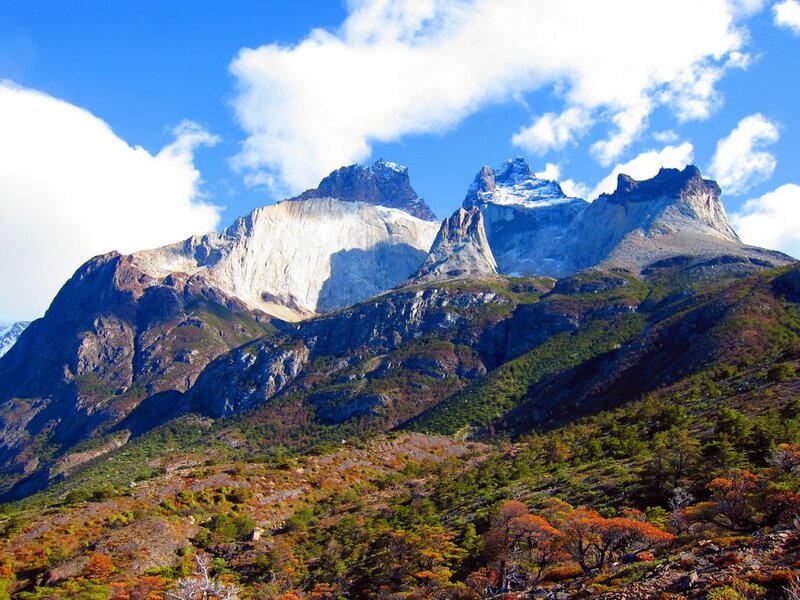 · If you want to visit the rest of Chile, Torres Del Paine and Argentina, this will require multiple entry visas for BOTHcountries. 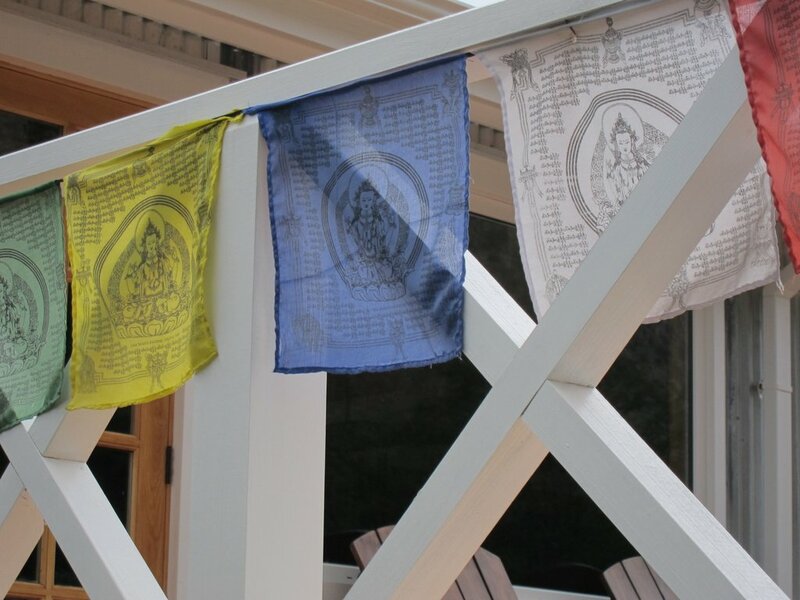 This only applies to those who want to do overland travel. · If you only have a Chilean visa (like we did) and want to visit Patagonia, the only way to do so is to fly to Punta Arenas from Santiago. 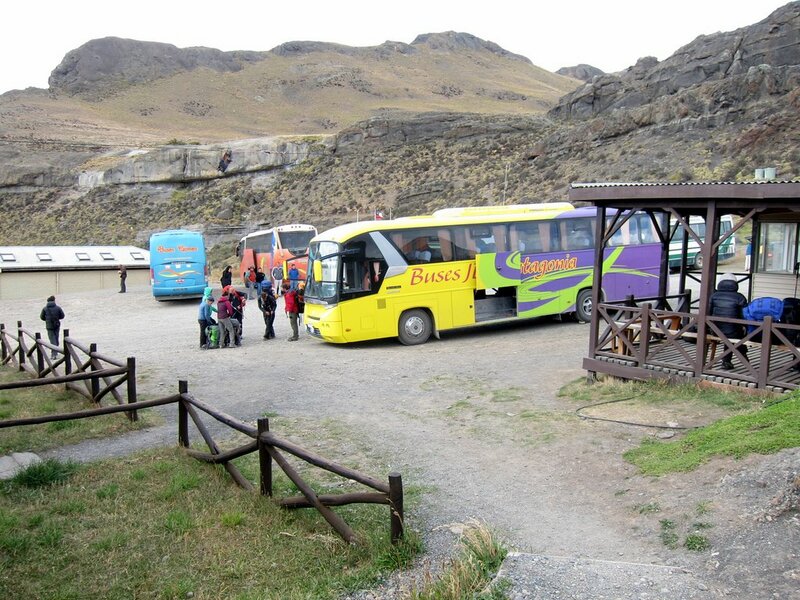 Bus travel was out of the question as we did not have a visa to Argentina. 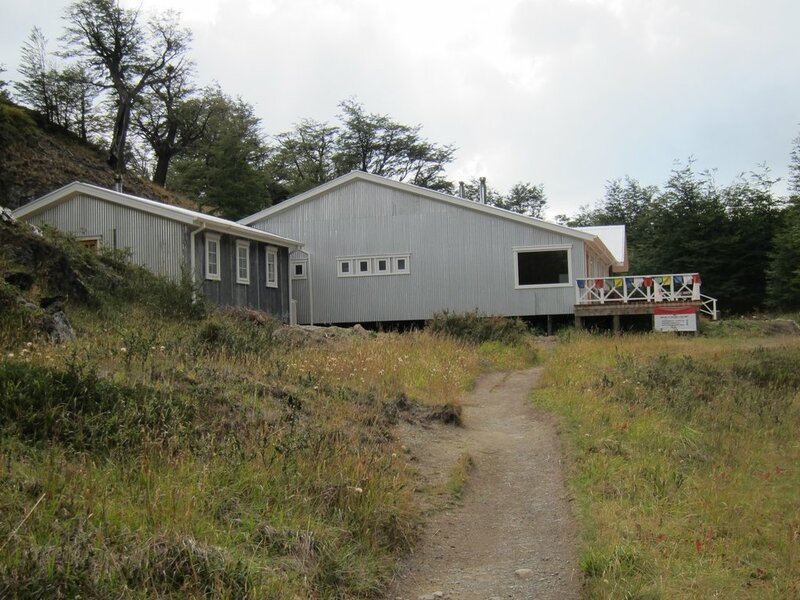 The super friendly owner at Don Santiago hostel helped us book our tickets to Punta Arenas via LAN online. Once you arrive at Punta Arenas airport, there are buses outside that will take you to the center of the town. 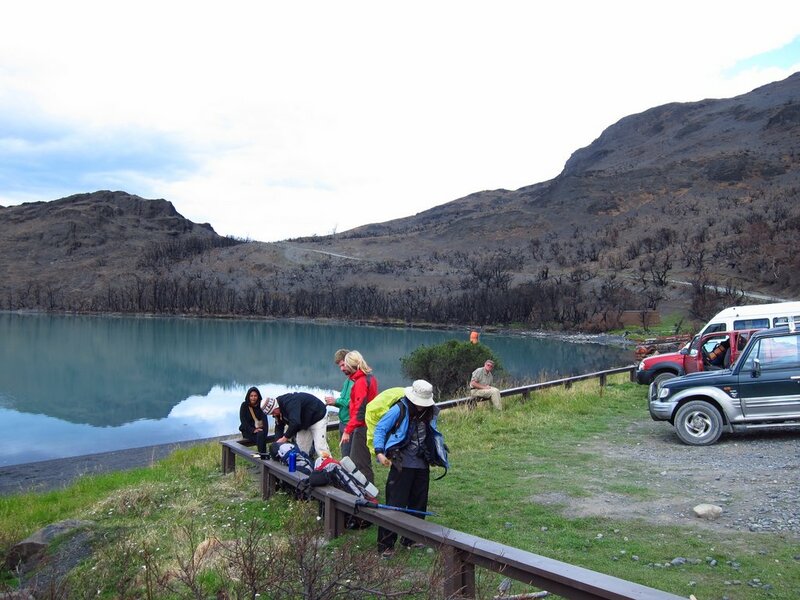 Once there, you can get to your hostel and start preparing for your trip to Torres Del Paine. Punta Arenas is a good place to stock up on groceries. The Unimart here is well stocked with groceries. We bought candy, cookies, dried noodles, dried pasta, nuts and dried fruits etc for the w-trek. The food choices for vegetarians in Punta Arenas were slim pickings, but I did come across on vegetarian restaurant that was closed for the weekend. Sigh! Only in South America do we find restaurants in tourist destinations closed for the weekend. We stayed at the Blue House hostel, an Israeli bastion with mostly Israeli backpackers and signs in Hebrew and cooked at the hostel. From Punta Arenas you can go on the boat tour to Isla Magdalena and see the Penguins. This is as south as we’ve ever been in our lives. To our very pleasant surprise, we bump into a very friendly Indian couple from Bangalore, of all places, on the boat. 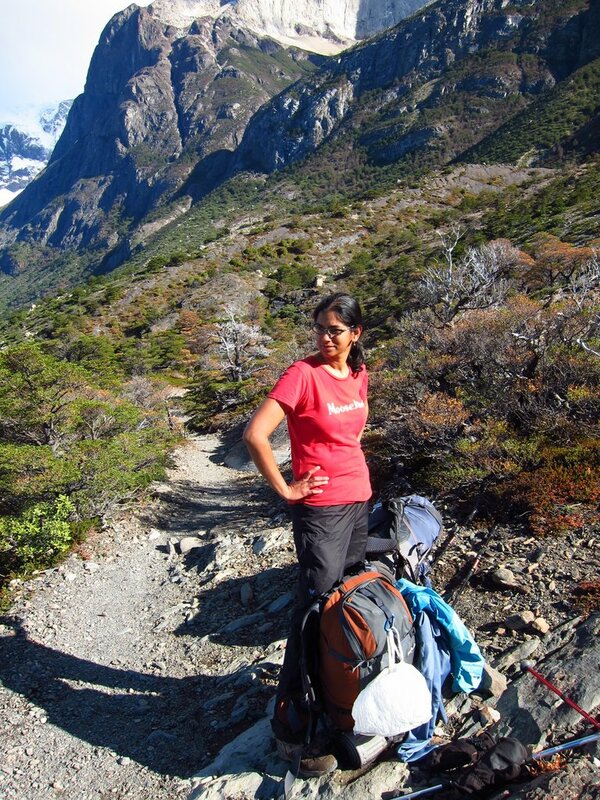 Priya and Rohit live in Santiago with their dog and were enjoying a vacation to Patagonia. It was a very fun and pleasant way to spend an afternoon. The penguins are very very loud and were molting when we were there. By now, we’re used to finding hostels after arriving at a town/city. Once we got here, we just walked around the central area and looked for hostels. We found a great cheap one at Refugio Esmeralda. Just a block from it is a convenience store with all essentials – El Virgel. 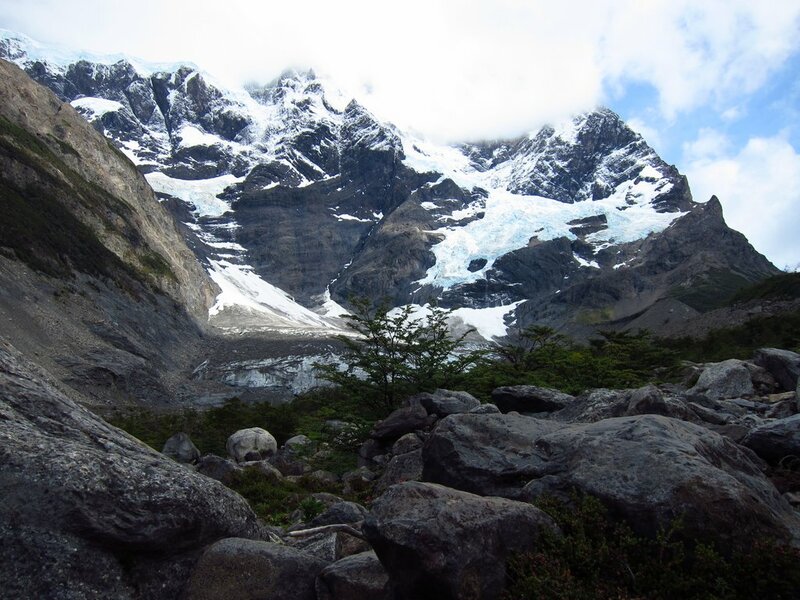 Puerto Natales is a typical trekking town. You will find people walking around with extra large backpacks either going to or return from treks in TDP. It lives and breathes TDP. 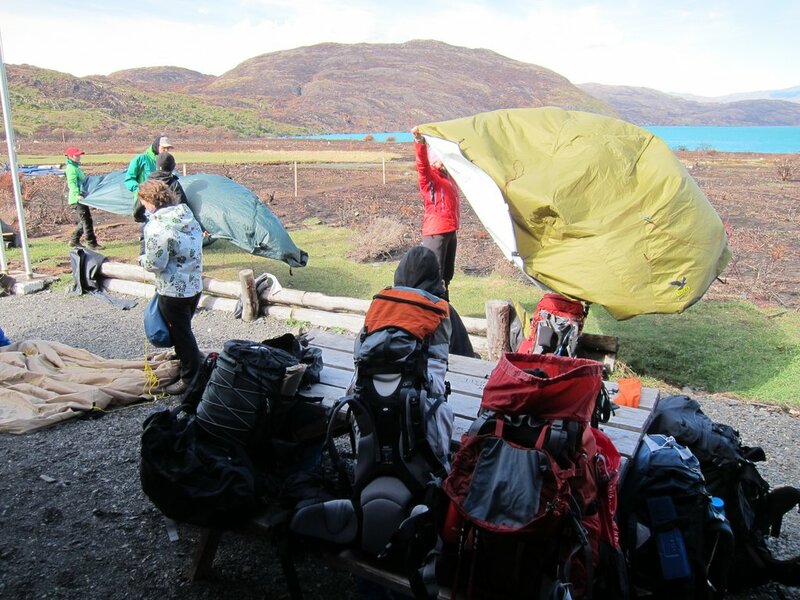 Every second store is an outdoor outfitter or rents/sells camping equipment. And then there are nice restaurants to celebrate your return from the trek. 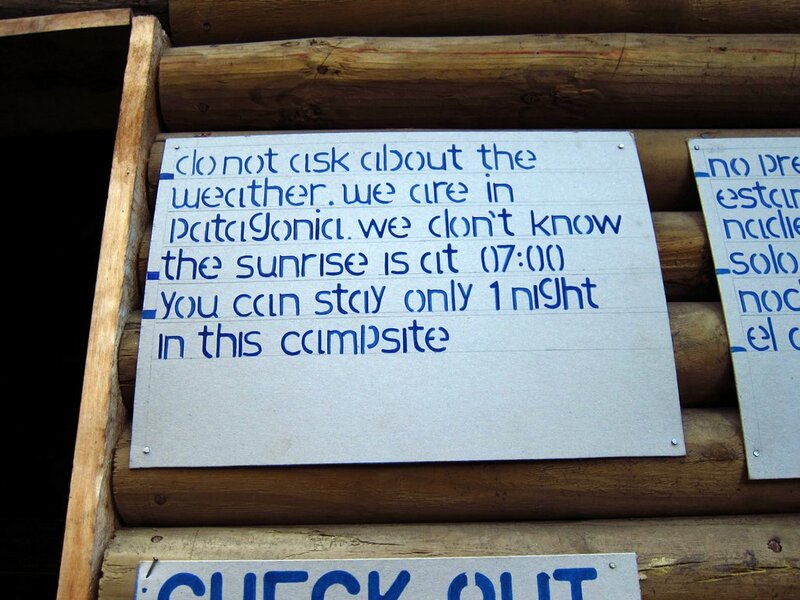 If you want to do the W trek or the full circuit, head to Erratic Rock hostel for their daily briefing. It is a great information session that tells you how to do the trek. You can rent equipment from them, but we got ours from a shop here (use satellite view) and we got excellent rates for good quality gear. Enquire around the shops in the centro area about things like gas canisters for stoves, last minute food purchases etc. 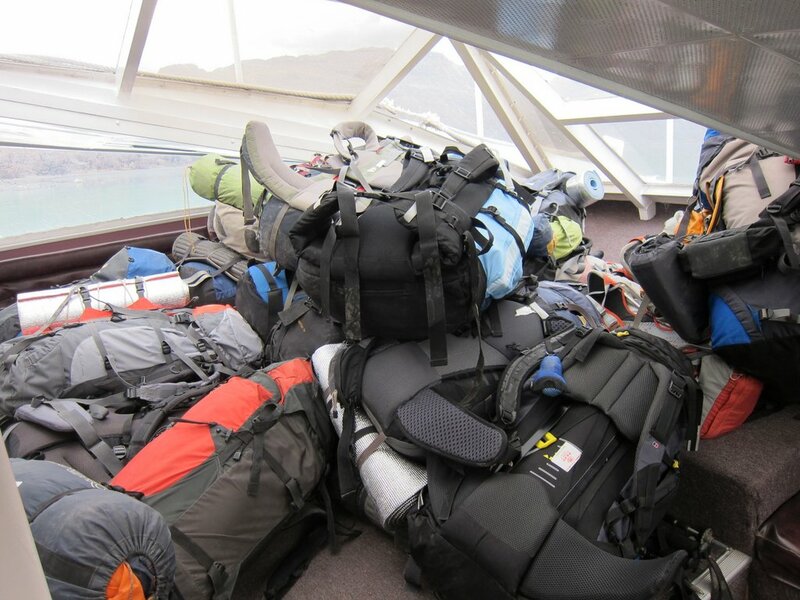 We packed our backpacks for the trek, purchased tickets to Puerto Natales, rented our equipment and left the remaining stuff at the hostel. Off we go to the W trek, something I’ve been dreaming about for years.